When you created your project in Game Pilot, you can publish it in AppStore. 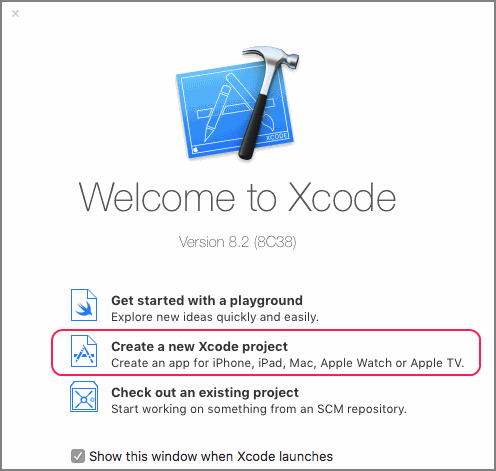 For this purpose, you should build the archive of the application in Xcode 8.2 environment. The Xcode development environment must be installed on Apple computer (with Mac OS X operating system). 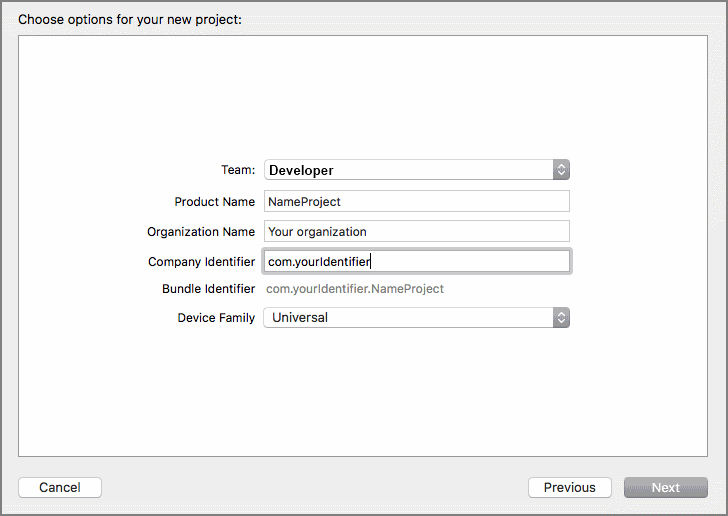 To work in the Xcode development environment, you must create an account in Apple Developer Center and generate iOS developer certificate. Game Pilot uses Cocos2d framework (v. 3.4) for game development. 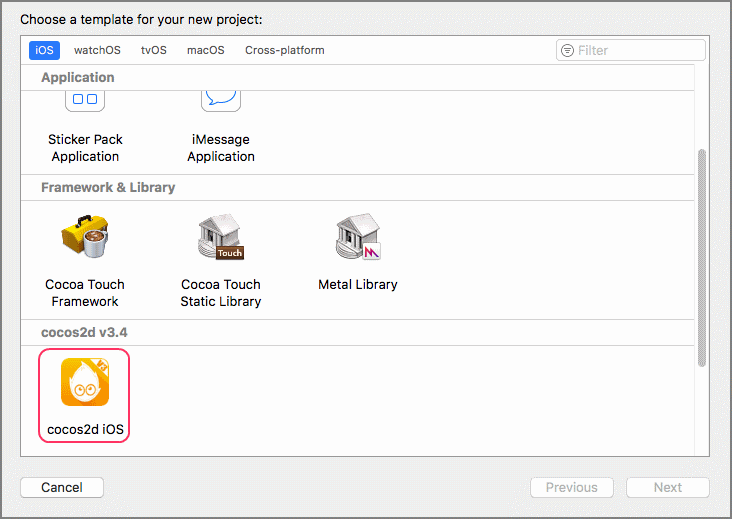 To install Cocos2d framework v. 3.4 cliсk here. Game Pilot source files are located in Demo.zip archive. You can unpack the archive on your computer and build a GamePilot demo project in Xcode.The Xcode environment allows you to run the project on iPad or iPhone connected via USB. In addition, you can run the project on the simulator. The Xcode project contains a list of files used to build the project. To display the list of files in the window on the left, you must enable the "Show the Project navigator" mode. 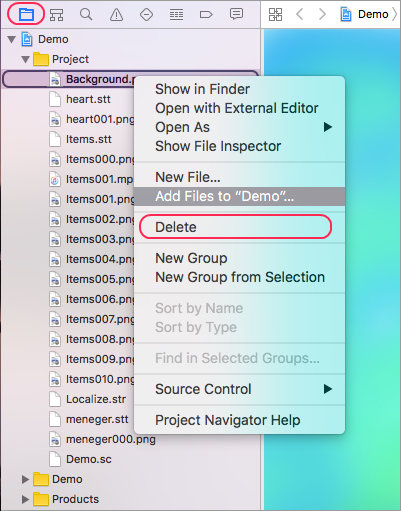 "Delete" – removing files from the project. The Demo\Project folder contains files of the Game Pilot project. Using the context menu, you can delete or add any files from/to your project. The Demo\Resources folder contains Game Pilot icons. You should substitute these icons before you publish your application in App Store. Each application that you are going to publish in App Store, must be signed by an Apple certificate. After your project was created, you must add the Game Pilot source files (from the Demo folder) and the files of your project. In the Const.h module, the nameProgect directive sets the name of the scene file; you can change it if it is necessary. You should test the project in Xcode environment. Use menu item "Product" → "Archive" to build the archive in Xcode environment. After the project is ready, you can upload the version to App Store buy clicking "Upload to App Store..."